Attorney Beth Taylor has spent her entire legal career representing school districts across the state of Ohio. In 1991, Beth began her career with the venerable law firm of Whalen & Compton Co., L.P.A. 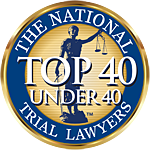 – one of the premier school law firms in Ohio. During her time at Whalen & Compton, Beth represented boards of education in a variety of matters. By the time she joined th prior named firm of Hoover Six and Associates in 2011, Beth had narrowed her practice to the representation of school districts in real estate valuation and tax exempt matters. Beth has represented many Ohio school districts in property valuation proceedings before county boards of revision, the Ohio State Board of Tax Appeals, and Ohio courts, including the Ohio Supreme Court. Additionally, Beth is available to assist school districts in reviewing the tax status of school-owned property, and will assist boards of education in seeking exempt status for those properties. The daughter of an Air Force veteran, Beth grew up on various military bases around the world. After graduating from Cuyahoga Falls High School, she attended the Honors Tutorial College at Ohio University, where she earned a Bachelor of Arts degree in history, as well as a minor in French. She went on to earn her J.D. from the University of Akron School of Law. Beth is a member of the Ohio Bar Association and the Federal Bar Association, and is licensed to practice in all Ohio courts, the Sixth District Court of Appeals, and the United State Supreme Court. Beth lives in Munroe Falls with her husband, Ken, and their three children. She is an avid reader and animal lover.